This is the 10th year running these racquetball leagues! The purpose of racquetball leagues is to help build the Rball community, meet new players, make friends, and improve your game skills! 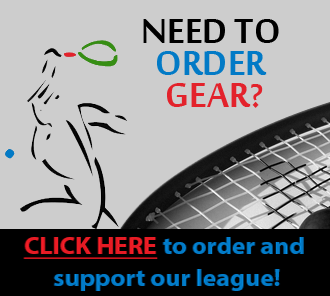 SEASON: New season begins on TUESDAY AUG 30, the new league format runs for 3 months, but will consist of 3 different play leagues, singles and doubles formats. SCHEDULE: TUESDAY's 6-8pm at LAFIT Tradition - Tuesday's will be main play night, HOWEVER new FLEX format you can play matches any day/time you and your opponent can meet. DIVISIONS: There will be one main DOUBLES division as well as a SINGLES division. FORMAT: All play will be tournament style, matches (best 2 out of 3) against every player/team in your division. ONLINE SCORE KEEPING: We will be using this new TeamRball.com software for tracking players, scores, and rankings. PLAYOFFS: We will have championship playoffs every 6-7 weeks, Single Elimination Tournaments, qualify to play for prizes by your seasonal performance. Current USAR Rules will be used at all times. Approved Eyewear and wrist cords must be used. Players can choose to have a referee for their matches to give you the full "tournament" style experience. Main play night to meet will be TUESDAYs 6-8pm, but with new FLEX format available to play your match another night if needed. Matches will be arranged and scheduled on TUESDAYs, or make contact with your opponent to play your match during the week. Winners can enter scores online, OR simply text scores to John G. for posting online. SCORING POINTS AS FOLLOWS, each player will receive 1 point for playing the match, and 1 additional point for each game won.